The U.S. Army hopes to become more "lethal" and "agile" by reducing troop numbers and using more robots. 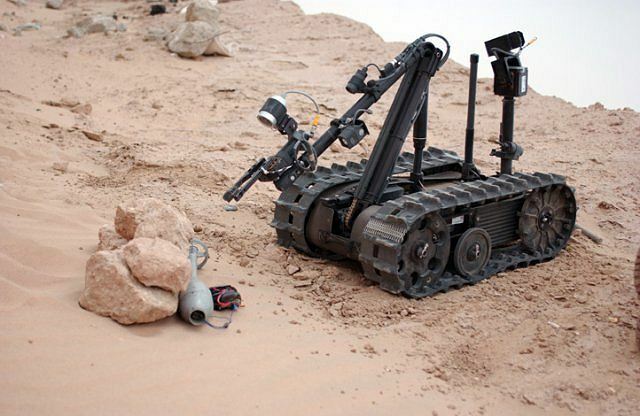 The U.S. Army wants to replace soldiers with robots. Not all of them mind you. 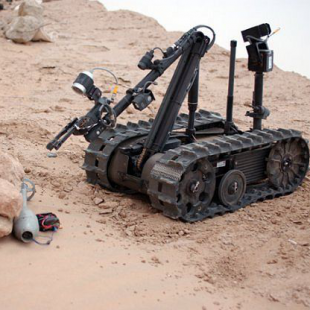 That said, according to recent comments from General Robert Cone, the Army is looking to make itself a "smaller, more lethal, deployable and agile," something that he believes robots can help with. The head of the Army's Training and Doctrine Command, Cone expressed the service's desire to lower its troop numbers in the coming years. This could, he said, potentially include a reduction in the brigade combat teams from about the current 4,000 soldiers down to about 3,000, with robots and machines making up for the lost manpower. "I've got clear guidance to think about what if you could robotically perform some of the tasks in terms of maneuverability, in terms of the future of the force," he said. "Don't you think 3,000 people is probably enough probably to get by [with improved technology?]" According to Cone, the Army's potential efforts to robotize its forces would likely emulate those of the U.S. Navy. A decreased number of soldiers, he said, could also be helpful in reducing the cost of the armed services "given the fact that people are our major cost." Cone's statements, of course, ignore the potential dangers of a machine uprising, but then again he and the military wouldn't be the only ones doing that lately. In other words, ready yourselves folks because now we're not just making robots smarter, we're also someday going to be counting on them to make sure our guns work.